Please register for the next reunion. Please don't let this happen to our church. in front of Our Lady of Loreto church has been removed. I contacted the Diocese to inquire about the whereabouts of the statue. The Diocese claims they had no knowledge about the statue being removed. 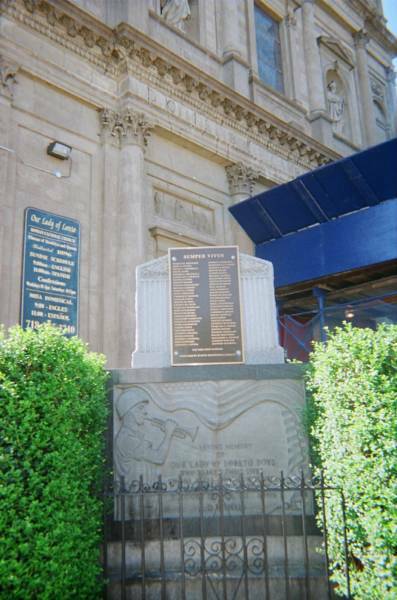 The statue miraculously reappeared 7 weeks later. was in fact removed for cleaning and polishing. Diocese tells us they don't know why. Hum! because of debris falling from the building. falling debris from the towers making the situation more dangerous. Dominick Mondelli, Laura Andrews and The Pascucci family. 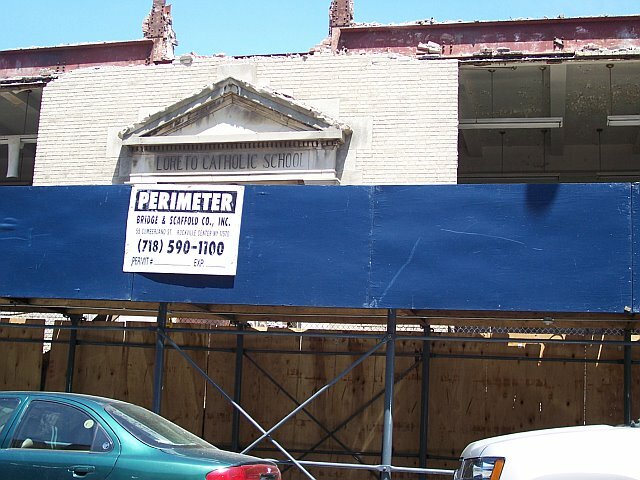 Our Lady of Loreto from being demolished. 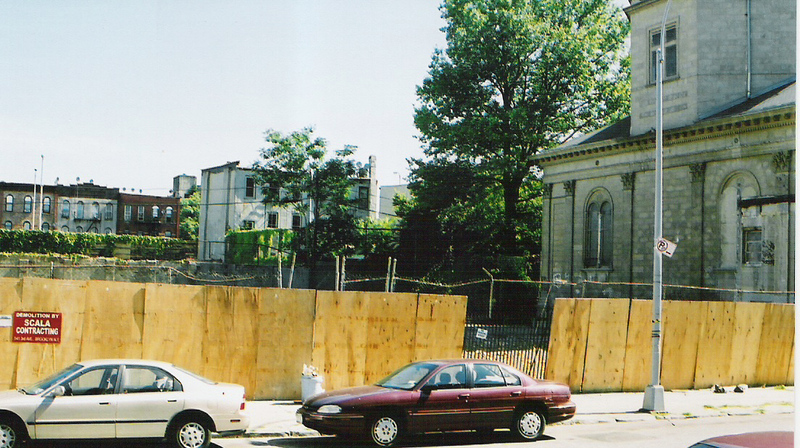 demolished the church and build an apartment complex for low income residence. This is the first petition of its kind to preserve our church and may be our last resort. 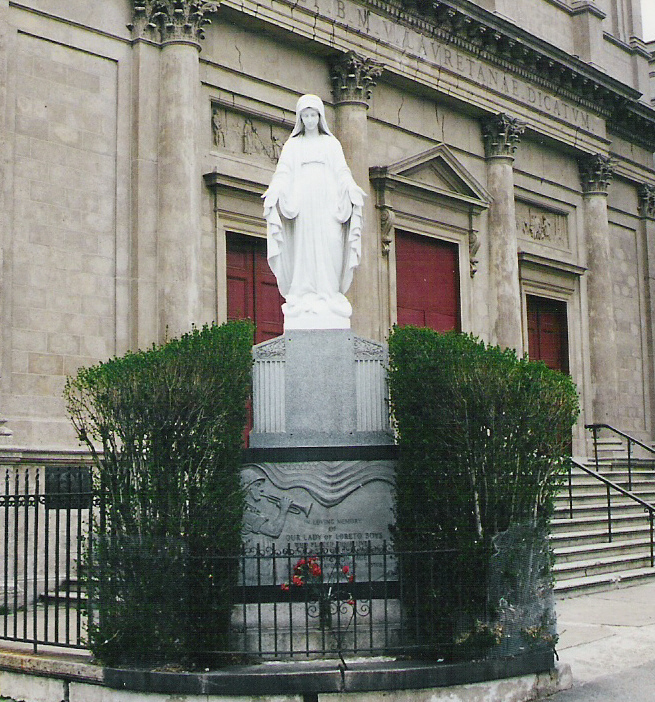 Our goal is to collect as many signatures as possible to save Our Lady of Loreto. Please help us meet our goal by showing your support and sign the Petition. according to a Catholic directory published in 1914.
for the church and the Italian immigrants who settled in a community that they also built. Please help keep the legacy of our ancestors alive and not let their church die in vain. Please do not use Anonymous. It does not count as a signature. Be proud to show your support and display your name.